PHOENIX — Democrats in the Arizona Legislature fell short Tuesday in their attempt to force a vote on ratification of the Equal Rights Amendment. WASHINGTON, DC - MARCH 22: A woman hold up a sign as members of Congress and representatives of women's groups hold a rally to mark the 40th anniversary of congressional passage of the Equal Rights Ammendment (ERA) outside the U.S. Capitol March 22, 2012 in Washington, DC. 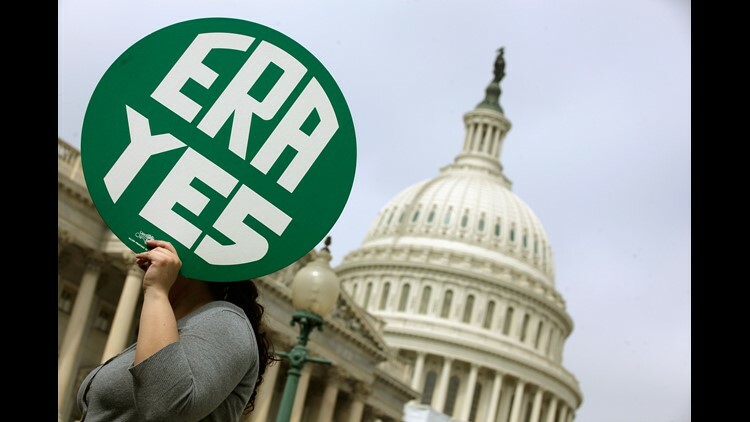 Rep. Carolyn Maloney (D-NY) and Sen. Robert Menendez (D-NJ) introduced a new version of the Equal Rights Amendment last year and called for it to be passed again. 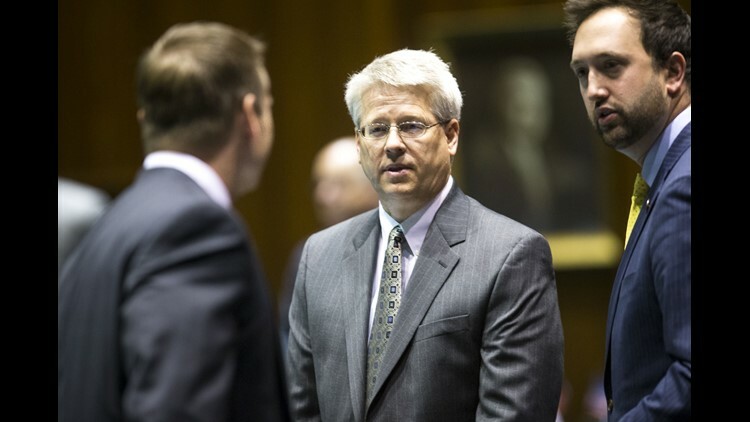 State Rep. Eddie Farnsworth, R-Gilbert, center, on Tuesday said adopting the Equal Rights Amendment could have unintended consequences and be used to remove abortion restrictions. More: Equal Pay Day: How does your state stack up on pay equity for women?